Given the aura around Chanda Kochhar it is hardly surprising that the mainline media took up the story a full two years after a credible complaint was filed with the PMO and all other investigative arms of the government. This controversy raises a heady mix of issues relating to governance, leadership, legality, morality of public icons, politics and the difficulty of institution building in India. And a telling comment on our society at large as my generation gradually hands over the baton to the next. As I wrote in these columns in the context of the PNB scam, the shocking metamorphosis of our national character over the last forty years is at the core of our current travails. Corruption – or the willingness to “play the system” in any form – has become a national obsession. Even those who are not blatantly corrupt find no moral hazards with taking short cuts, bending the intent of the established policy or doing simple “jugaad” – which passes off, and rewarded, as our brand of “innovation”. Such is our frightening descent into this moral morass that this line of thinking has pervaded into most levels of society -from large businesses, government, institutions on one hand to grassroot organisations like local bodies and residential welfare associations…. and is almost now a given in the context of existence in India. I will not comment on the veracity of the whistleblower’s complaint or the Indian Express report – but seemingly credible, both are highly commendable efforts which help in restoring faith in our dwindling democracy. 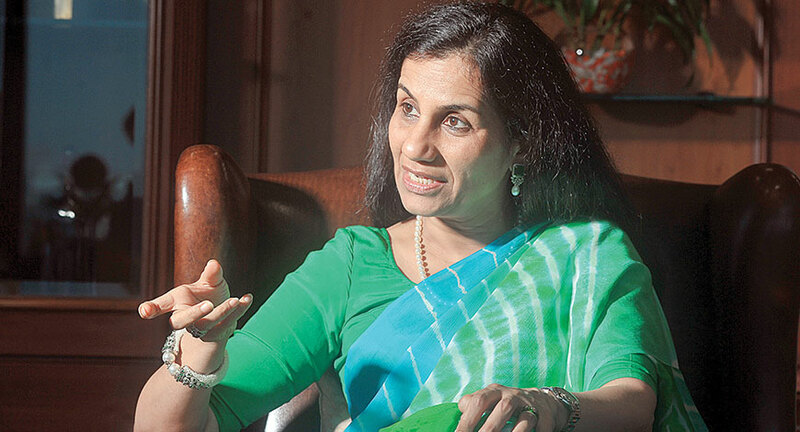 However, I will question why Chanda Kochhar herself has not addressed the multitude of questions the episode raises and has chosen to field ICICI Bank’s non executive Chairman to effectively buy time. The fact that he literally read out from a carefully crafted statement, couched in legalese, and refused to take even one question at the presser does not help matters in what is clearly a battle for her personal credibility. Or why, unlike Nandan Nilekani as Chairman of UIDAI, she chose not to recuse herself from the committee approving the loan to Videocon. The questions are wide ranging. Does Venugopal Dhoot generally enter into JVs with ordinary MBAs having no particular known experience or skills in business or renewable energy ? I am choosing to ignore the AMP at Harvard as an indicator of intellectual ability or Deepak’s experience as the CEO of Pacific Capital – a company owned by his in laws. It sounds eerily similar to DLF teaming up with Robert Vadra though that was, in all fairness, only an investment deal and did not call for any management experience of the partner. How did investments in debt, equity and compulsorily convertible preference shares pour into NuPower Renewable Group from various entities linked only to the Videocon group, and precisely at the same percentage (10%) of the loans advanced by ICICI to the Videocon group coincidentally after such loans were disbursed ? How, despite such large investments by Videocon into this precious asset called Nu Power, its equity shareholding in Nu Power reduced from 50% to 2% whereas Deepak Kochhar increased his shareholding to 93% by pumping in only Rs. 1.89 Cr ? Valuations, as is oft repeated, is an art and not a science and it would seem EY, the valuers in this case, are pretty adept at this art ! How did ICICI bank advance loans to a Cayman shell entity in direct contravention of rules ? Why was the ownership of NuPower masked multiple times through shifting, multi layered arrangements, including trusts, but with the beneficial ownership always remaining with Deepak Kochhar and family ? There are many more questions in the public domain but I believe the point is made. Despite this, the ICICI Board decided to jump into this issue and further decided to express full confidence in Chanda Kochhar. Whilst this would not surprise me in most companies given the state of corporate governance, this instance is personally painful. ICICI as an institution had benefited from the wisdom and stature of N Vahgul - its iconic Chairman from the mid 80s and the father of Corporate Governance in India – in its formative years. Mr Vahgul’s views on governance, women empowerment and many other issues were way ahead of its time and left a lasting impression on many managers, including the undersigned, whose paths crossed with his. Chanda Kochar was one of them too who was nurtured in that environment. An impartial assessment of the sequence of events based on the material in the public domain would suggest that this model of potential nepotism falls squarely in the currently favored business model operating in India : that of relatives and fronts profiteering from a string of amazing coincidences by receiving massive investments in legally distinct, structured vehicles at the same time favors are extended by those in a position of power. Of course, being separate and legally distinct actions, it is practically impossible to prove the quid pro quo as evident in the Aircel-Maxis case, the 2G scam, Robert Vadra model, INX media case, Jagan Reddy model….the list goes on. This model is favored as no conviction has happened till date and most beneficiaries go scot free. The other two erstwhile models, loosely termed the Lalu’s fodder scam model and Sahara’s micro investor model, have fallen apart. Legal arguments will be made on both sides till the cows come home. After all, at the end of the day the defence was successful in proving that even the 2G scam was not a scam at all ! But this case is not a matter of legality but one of propriety and probity in public life….that too in the banking industry whose very foundation is solely based on trust. It is because of this that even the Supreme Court has ruled that key personnel of private sector banks operating with a RBI license fall within the purview of “public servants” as defined under the Prevention of Corruption Act. Given the current political environment and his powerful leadership dictum on financial integrity, I do not believe PM Modi has the luxury of choice in going slow on this matter as, like the Nirav Modi case, the PMO was alerted on this in 2016. The entire government apparatus, including the SFIO,ED, SEBI and CBI, have been unusually quiet on this matter even if it is assumed that preliminary investigations have been done since 2016. Compare this with the alacrity with which Prannoy Roy’s house and NDTV premises were raided for almost similar allegations of round tripping. Hindu scriptures teach us about “maya” – the illusion and not the reality which governs us. Einstein too had famously said that reality is merely an illusion. All leaders know that perception is the reality which finally matters. Chanda must factor this in the equation in the interest of the institution she manages and more importantly of which she is the face. We do not yet know if she has erred once through this amazing string of coincidences involving the Bank, her husband and Dhoot……..but as a true protégé of N Vahgul she should not err now and would do well to step aside to allow impartial investigations to determine the truth. Any other path would not be elegant. And Caesar’s wife still needs to be above suspicion…. The author is a Sloan fellow of the London Business School and a chartered accountant. 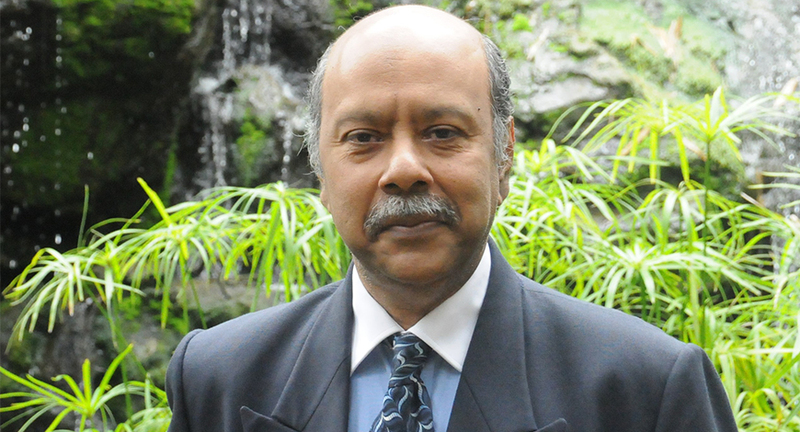 He has previously been a director/ Group CFO in various companies. He now manages a PE fund and advises startups / corporates.